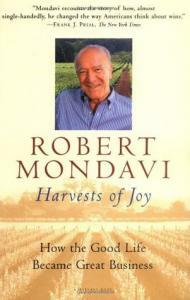 Robert Mondavi founded the Robert Mondavi Winery, one of the country's largest wineries. He also founded the American Center for Wine, Food & the Arts, and co-founded the American Institute of Wine & Food, with Julia Child. Among his many honors are Winemaker of the Year (1982), the Torch of Liberty Award from B'nai B'rith, and Business Leader of the Year from the Harvard Business School Association of Northern California (1998).